Think of them as the building blocks of literacy instruction. When you’re new to teaching, the number of buzzwords that you have to master seems overwhelming at times. There are many concepts you have heard about, but you may not be entirely sure what they are or how to use them in your classroom. For example, new teacher Katy B. asks, “This seems like a really basic question, but what are sight words, and where do I find them?” No worries, Katy. WeAreTeachers has got you covered! Put simply, sight words are words that we teach our young readers to know by heart. That way, they don’t have to spend valuable time decoding them. Oftentimes the terms sight words and high-frequency words are used interchangeably. Although many high-frequency words are also sight words, there is a difference. Sight words, as stated above, are words that do not fit standard phonetic patterns and must be memorized. High-frequency words are words that are most commonly found in written language. Although some fit standard phonetic patterns, some do not. For a thorough explanation, read this blog by kindergarten teacher Brian Smith. 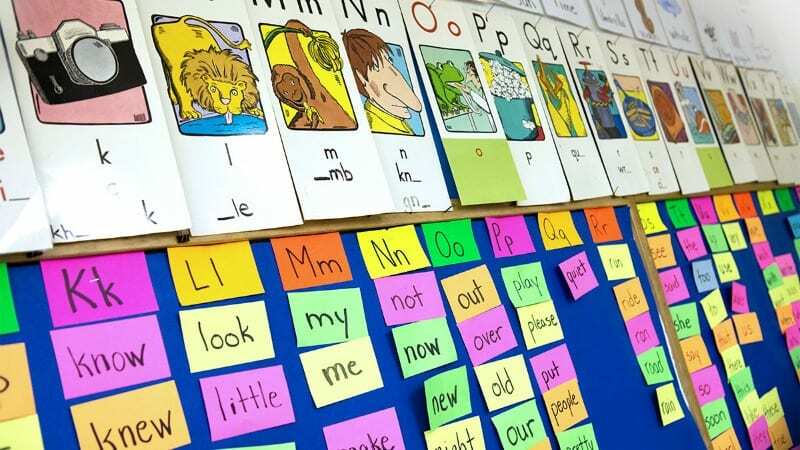 For teaching purposes, most teachers treat sight words and high-frequency words the same. Both types of words are consistently used in spoken and written language and constantly appear in books, textbooks, and stories. Once students learn to quickly recognize these words, reading comes more easily. Two of the most popular sources are the Dolch Sight Words list and the Fry Sight Words list. During the 1930s and 1940s, Dr. Edward Dolch developed his word list, used for preK through third grade, by studying the most frequently occurring words in the children’s books of that era. The list has 200 “service words” and also 95 high-frequency nouns. The Dolch word list comprises 80 percent of the words you would find in a typical children’s book and 50 percent of the words found in writing for adults. Dr. Edward Fry developed an expanded word list for grades 1–10 in the 1950s (updated in 1980), based on the most common words that appear in reading materials used in grades 3–9. The Fry Sight Words list contains the most common 1,000 words in the English language. The Fry words include 90 percent of the words found in a typical book, newspaper, or website. How do I teach sight words? There are many fun and engaging ways to teach sight words. Dozens of books on the subject have been published, including the much revered Comprehensive Phonics, Spelling, and Word Study Guide by Fountas and Pinnell. Resources, like games, manipulatives, and flash cards, are readily available online and in teacher stores. Word walls are a frequently used favorite for teaching at the primary level. For advice from a seasoned kindergarten teacher, read this blog by Tiffani Mugurussa. 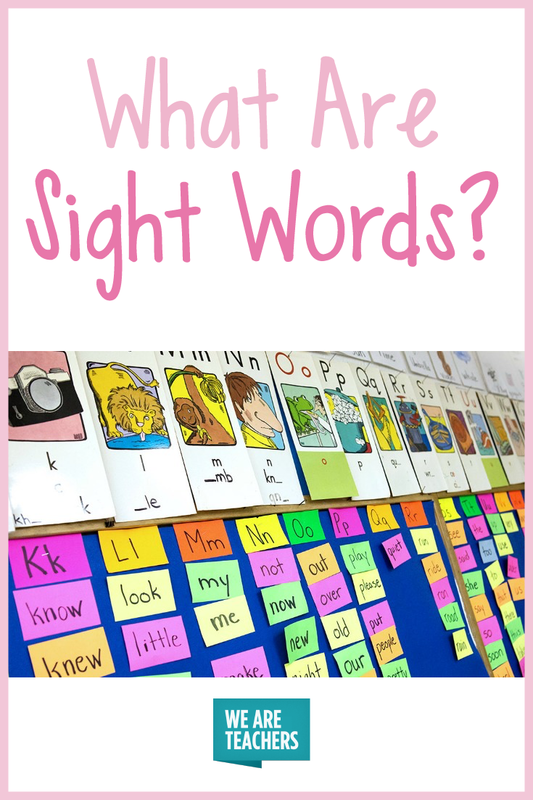 Do you have a favorite way to teach sight words? We’d love to hear about them on our WeAreTeachers HELPLINE group on Facebook. Also, check out What is Writing Workshop?